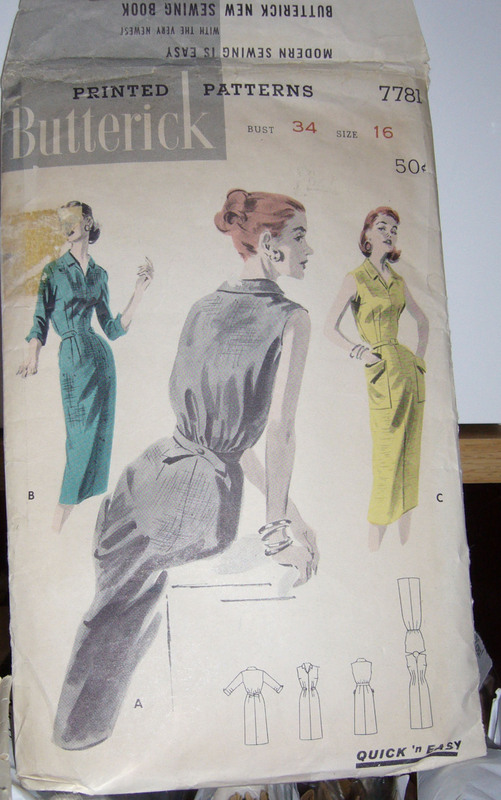 As well as making something new (to me) I am hoping to get some of my dressmaking projects finished. 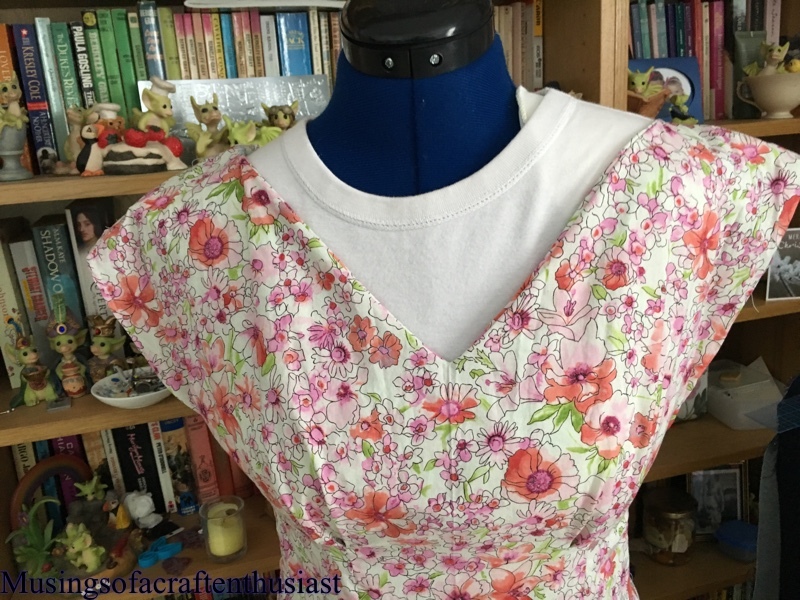 This needs the second part of the bodice stitching in and a zip up the side, it also needs hemming, you have probably already seen photos of it without realising, as the dress makers dummy is wearing it at the moment. 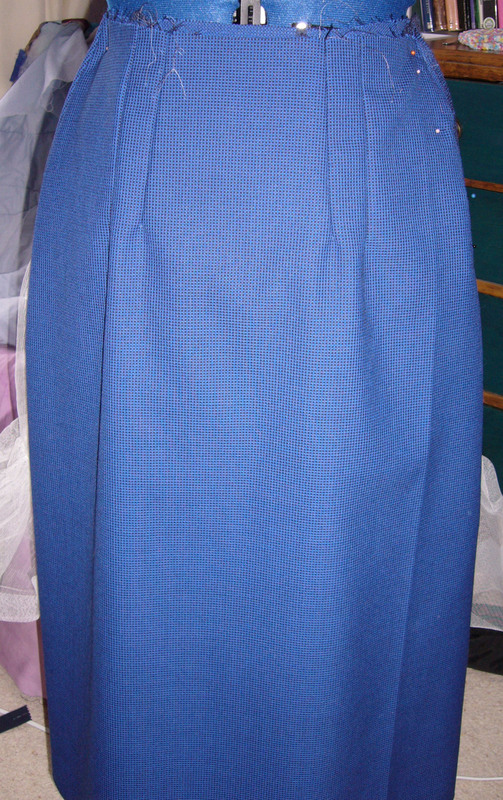 This is a beautiful straight skirt which is nearly finished, in fact it might just need hemming and a button put on it, the top half of the dress needs some of the overstitching taken off the bottom and the collar attaching, to be honest I can see myself wearing the skirt but not the top. 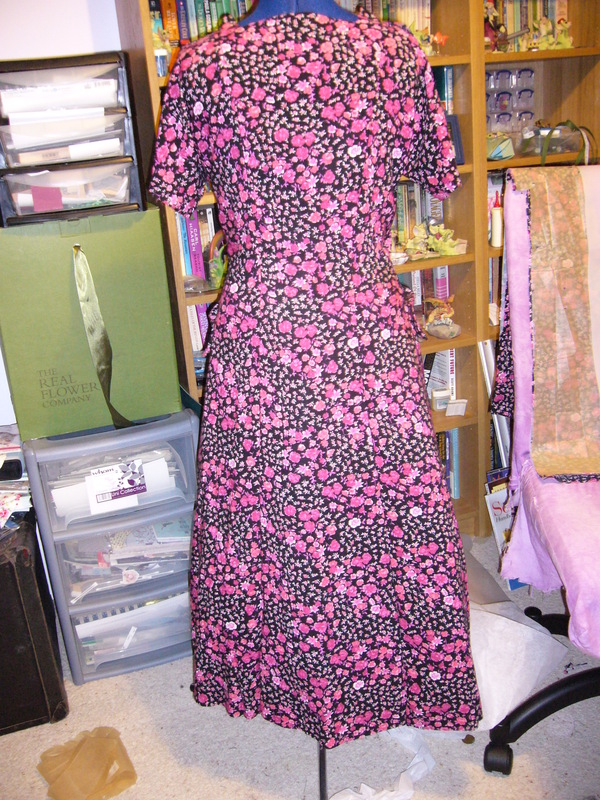 Although I love the fabric to look at I’m not gone on it in this suit, but it should look lovely in a dress. 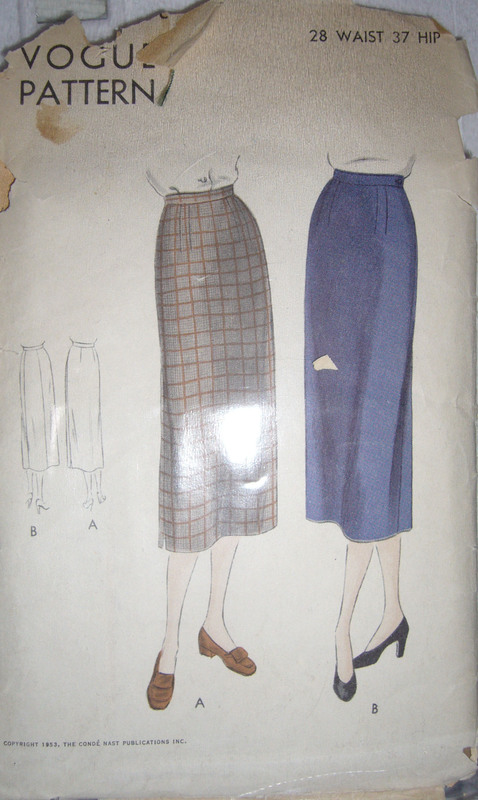 You’ve seen the trousers, as I have never fitted trousers before I’m not quite sure what to do with them, but I suppose I should put the waist band on and start from there. 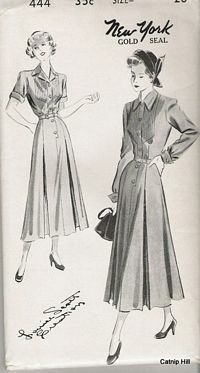 I think that the waist band is going to be too high for comfort and also too high to actually look good for one thing I haven’t got a big stomach but the way the fit comes up and over it doesn’t look good. 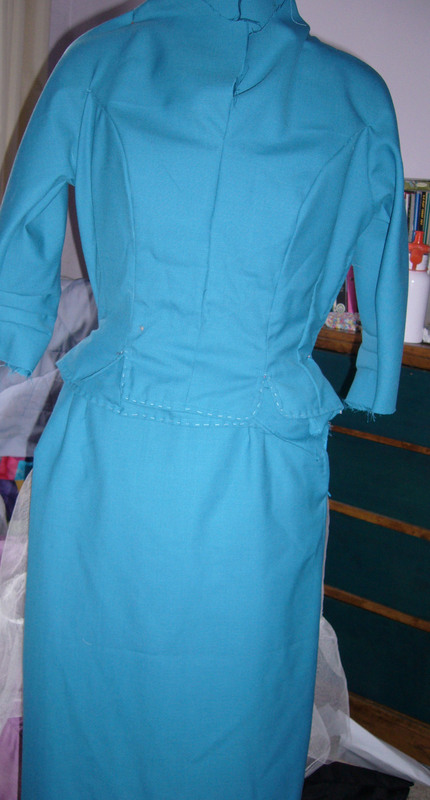 So may be bringing the waist down a little bit would be good. 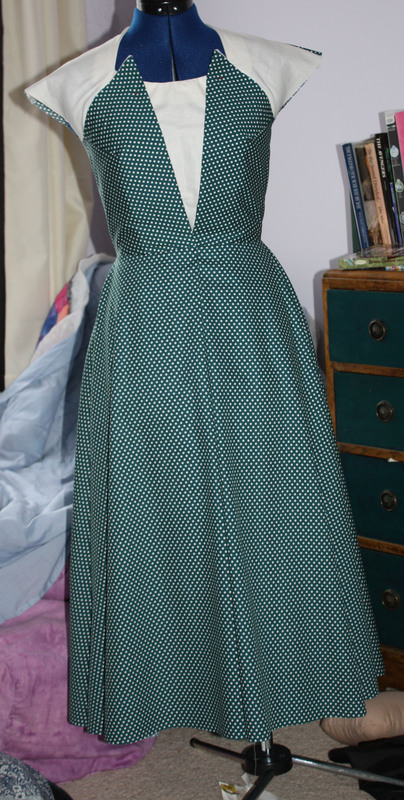 You’ve seen pictures of the dress already here, it still need buttons, button holes and general finishing off, hemming, slip stitching and so on. 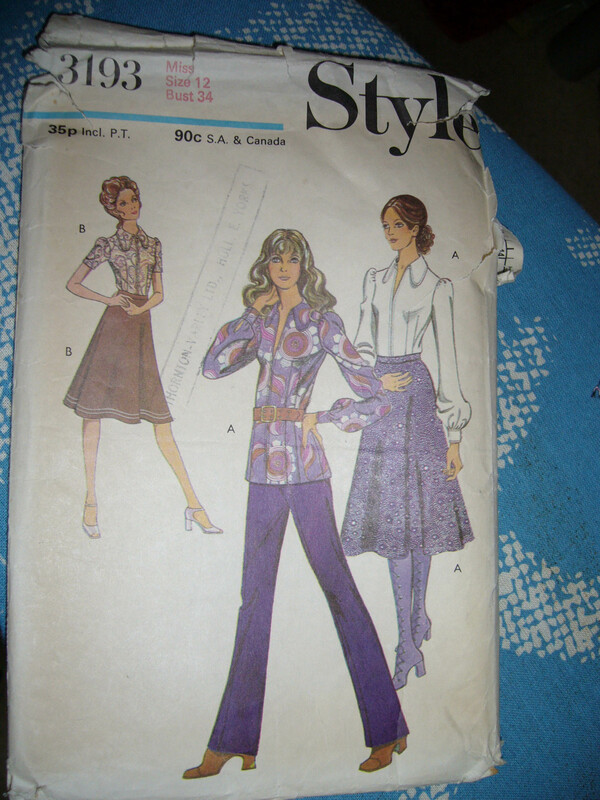 The Blouse is sort of a cheat all I have to do with it is put the buttons back on the cuffs, looking at it the other day I think the buttons were in the wrong place, I couldn’t get them done up over my fat arms. 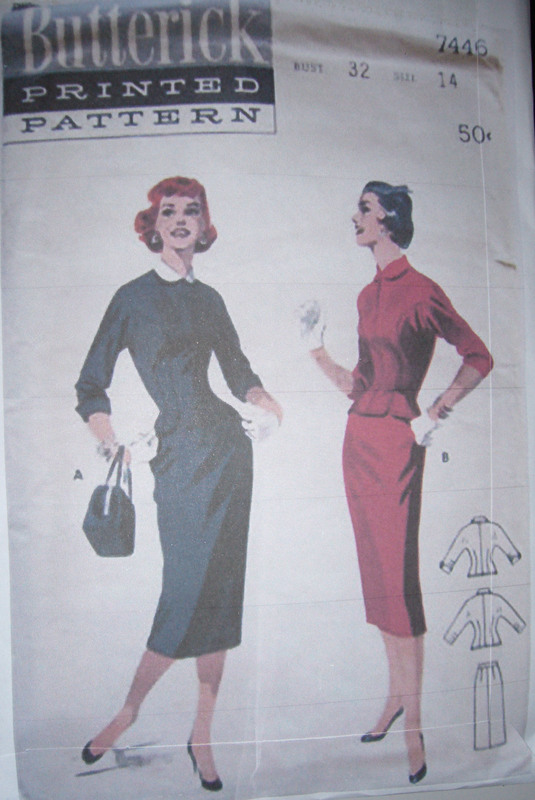 this dress looks good on the front of the packet, but I think that it is not as fitted as some of the other dresses I have made, and so when I tried it on it looked a little big, also it was made from seersucker fabric so that might have added to the bigness factor. 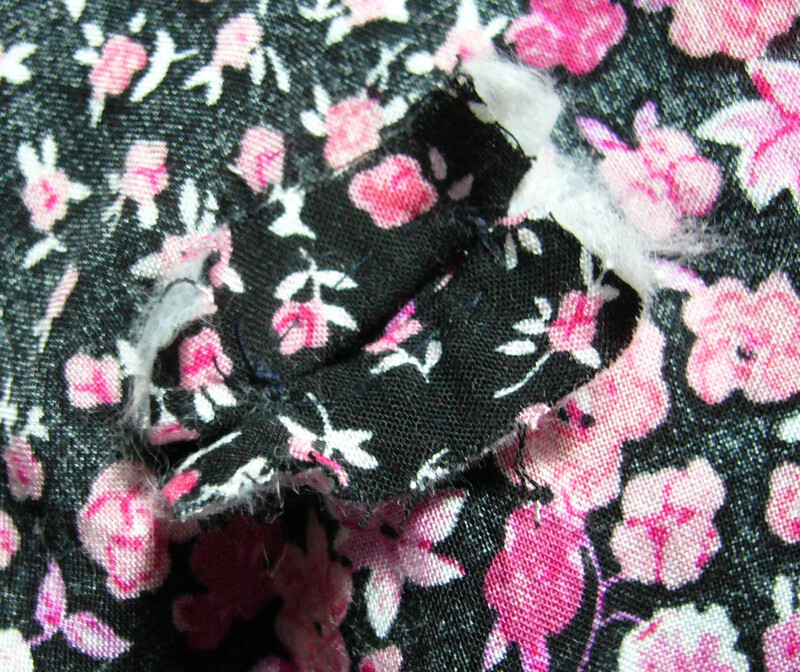 I need to redo the belt, I have made the belt and done the buckle, now I want to put the two together I can’t find the belt part. 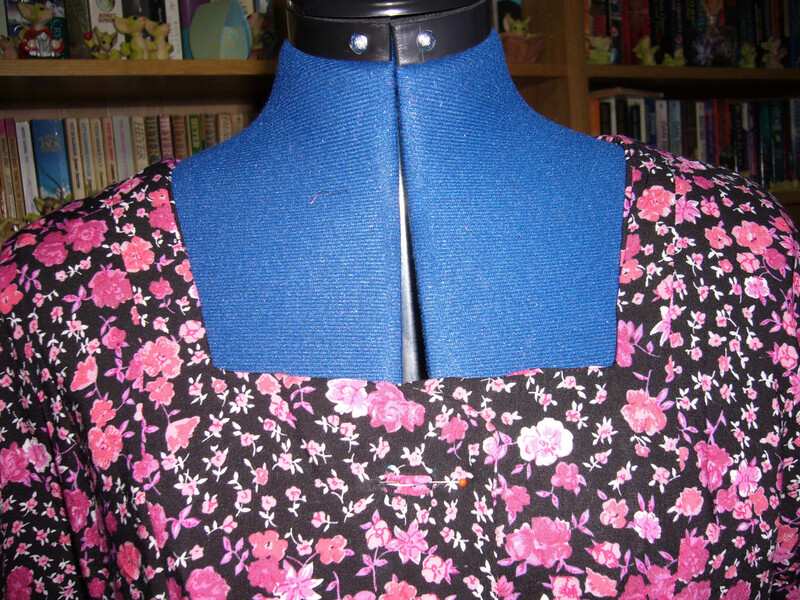 This dress will make it easier to see the button detail than the previous version blogged about. 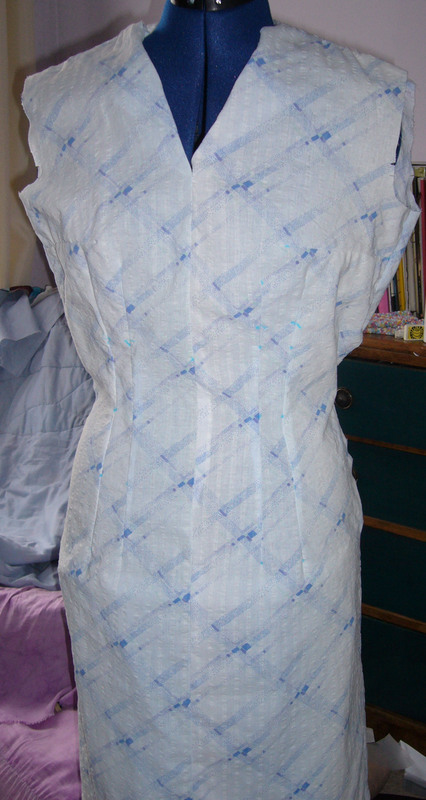 This is finished apart from the fact I’m not sure how the waist band is attached I need to sit down with the instructions and the waistband and just get on with it. 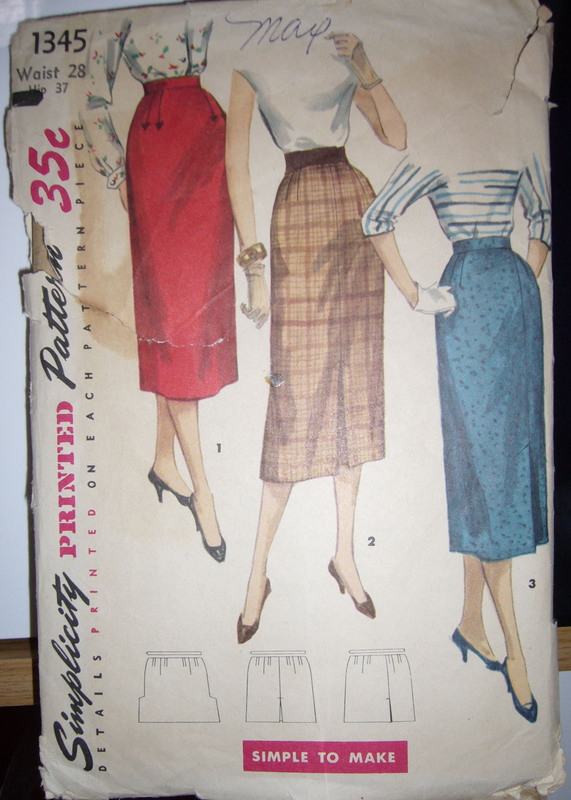 I think this has the same issue as the pinstriped skirt no waist band, I don’t think it has a zip either. 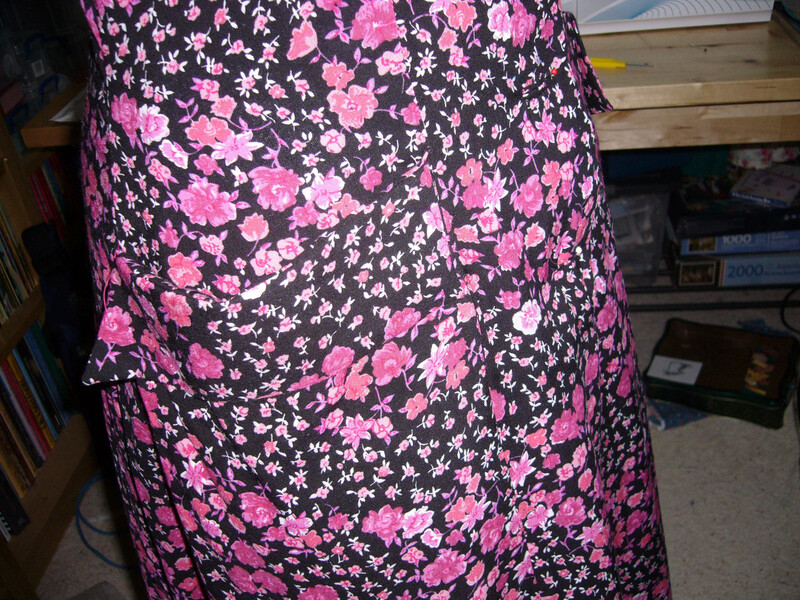 I think this is the same pattern as one of the other skirts, the fabric isn’t right for it, the fabric is actually Blazer material so it is a bit heavy and doesn’t take creases very well, I might just give this one up as a bad job, but the fabric, of which I have a lot of would probably be suitable for a summer coat/jacket. 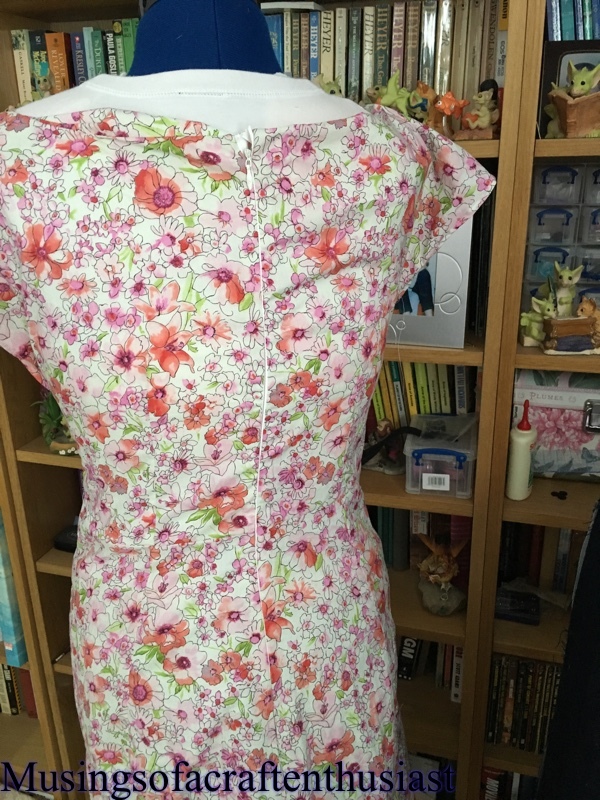 My new one, there is no way I am getting this finished in February, I still have all the hemming, belt and buttons/button holes to do. 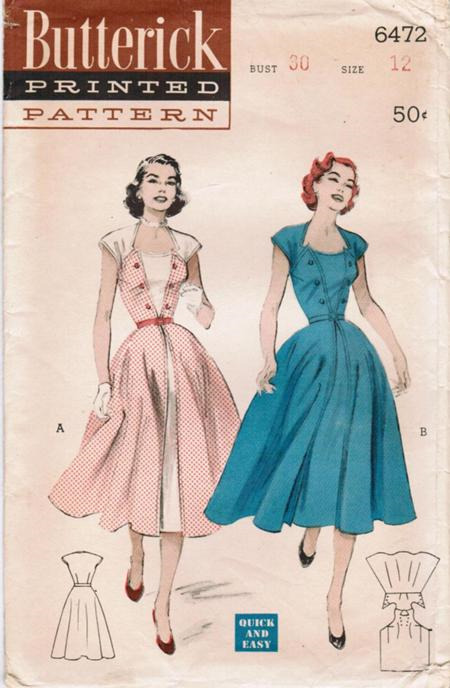 Same as the walkaway dress, buttons/buttonholes hemming and a belt. 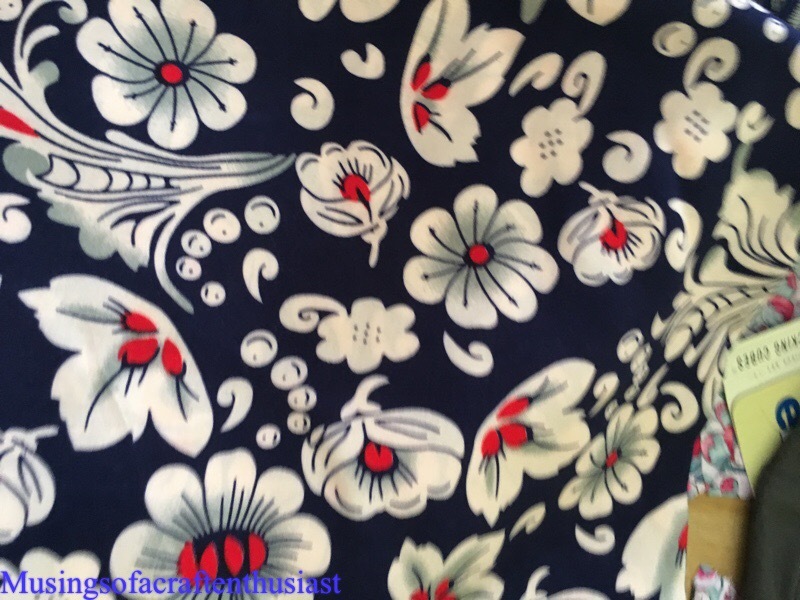 There will be more pictures and more detailed descriptions to come as I finish these items. 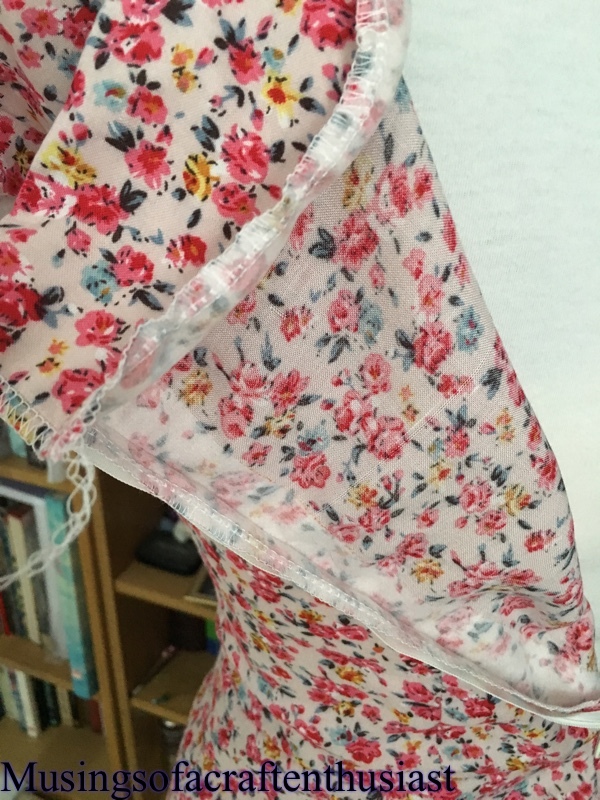 Ok, I’ve ironed the dress I’ve put in the interfacing (probably should have done that before I put it in the dress, but I just wasn’t sure about it, the interfacing I have is very stiff until washed and I didn’t know if it was going to make it worse. 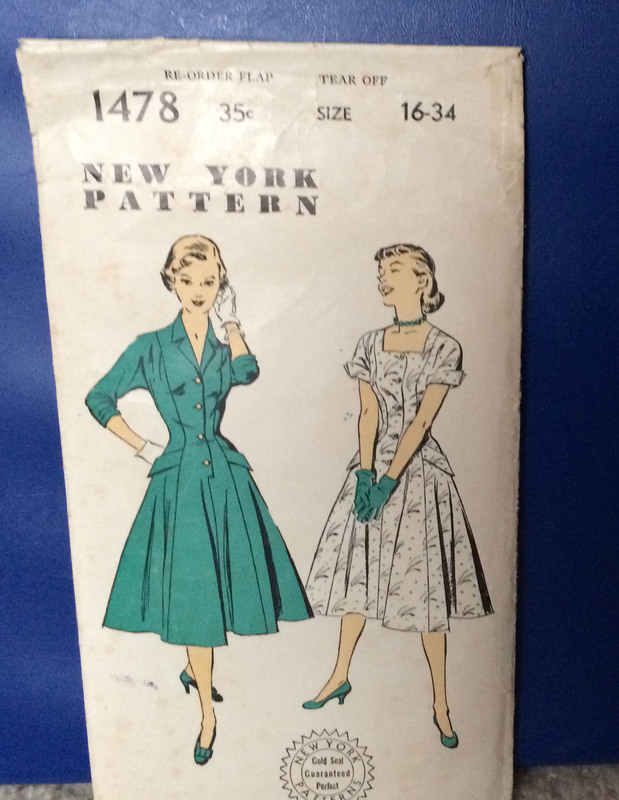 I’m glad to report back that the iron and interfacing gave the dress a much needed structure. 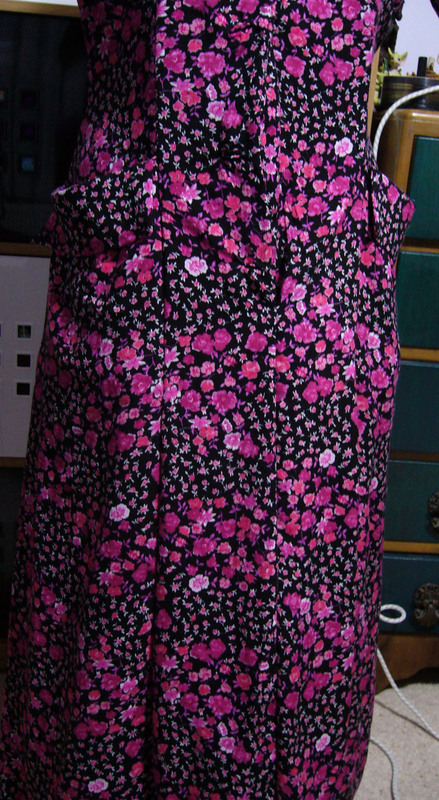 I’m not sure that the camera makes a difference, but I’m going to get a cheap tripod to play about with it. 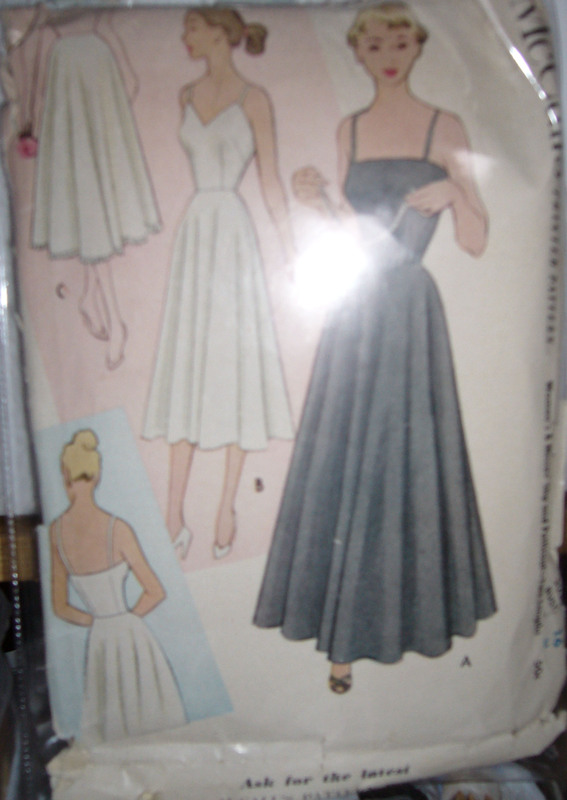 The pockets, Simon doesn’t like the pockets he thinks it makes the dress look frumpy, not sure that I get that vibe. 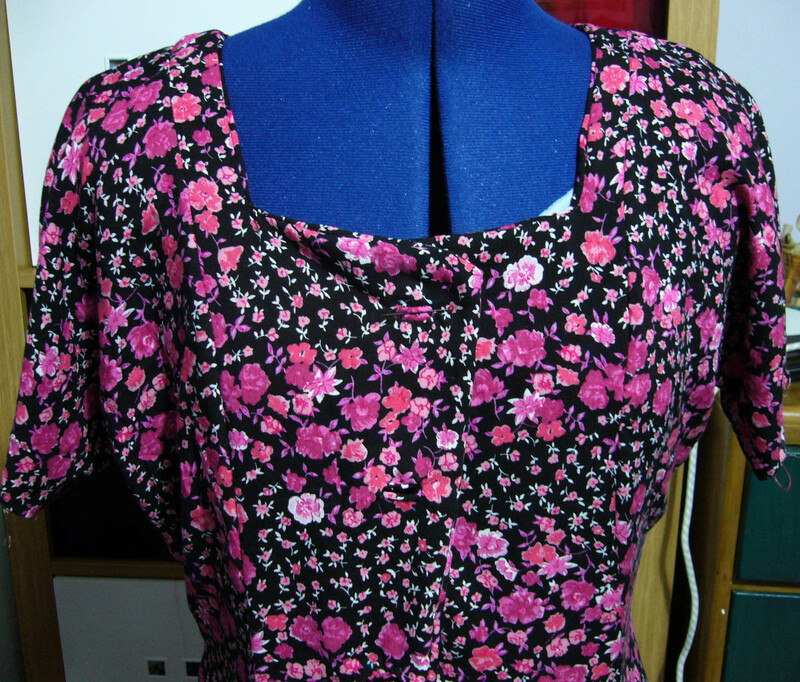 I noticed in the first photo the neckline was off a bit so I’ve straightened it up. 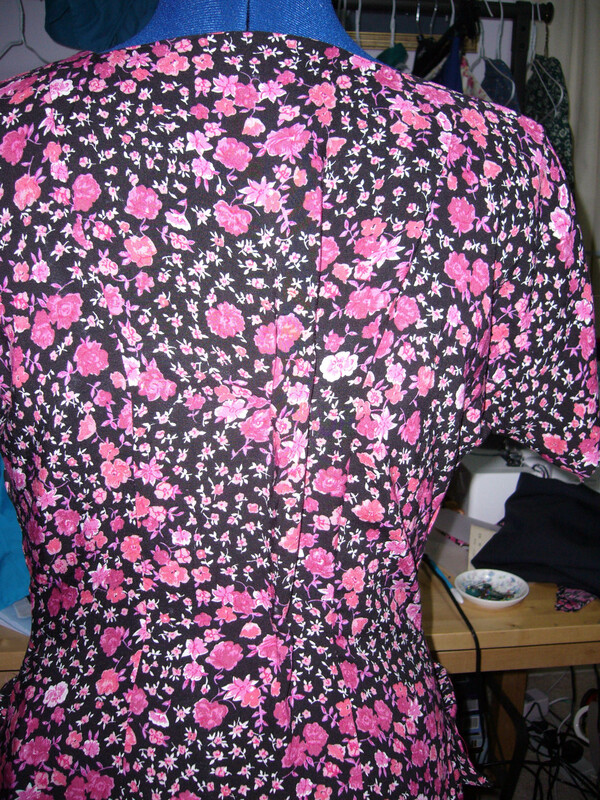 You should be able to see that I have pinned the back, I need to take some fabric out of the side seams. 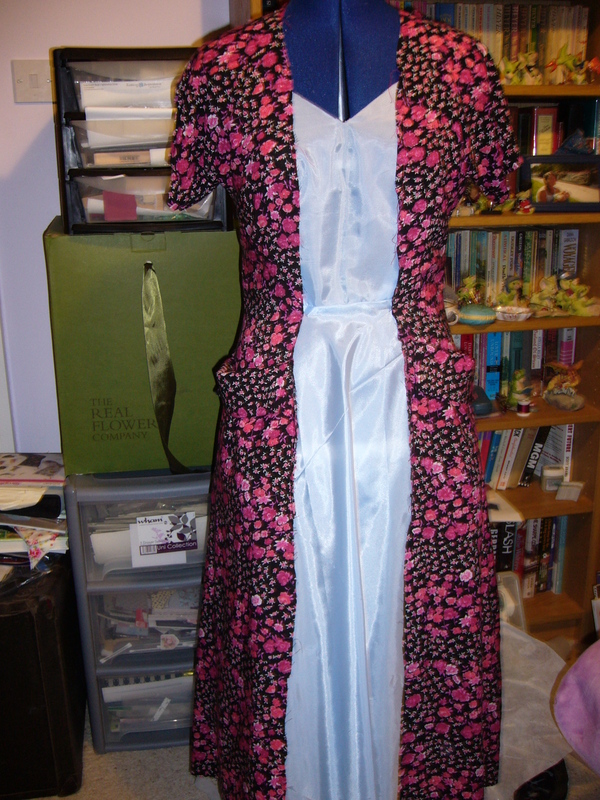 I still need to make the cuffs and decide on some buttons but it might get warn after all. 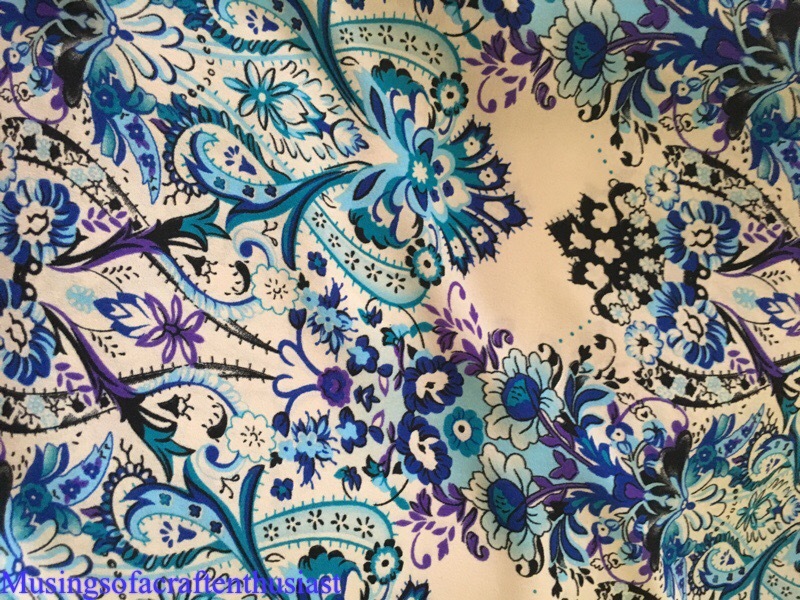 Have you ever loved a pattern, loved the feel/look of the fabric then once they are together you hate them? 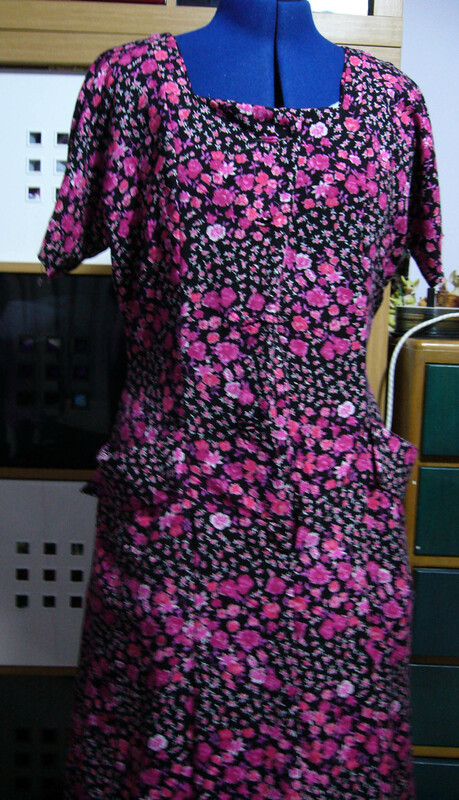 that is this dress. 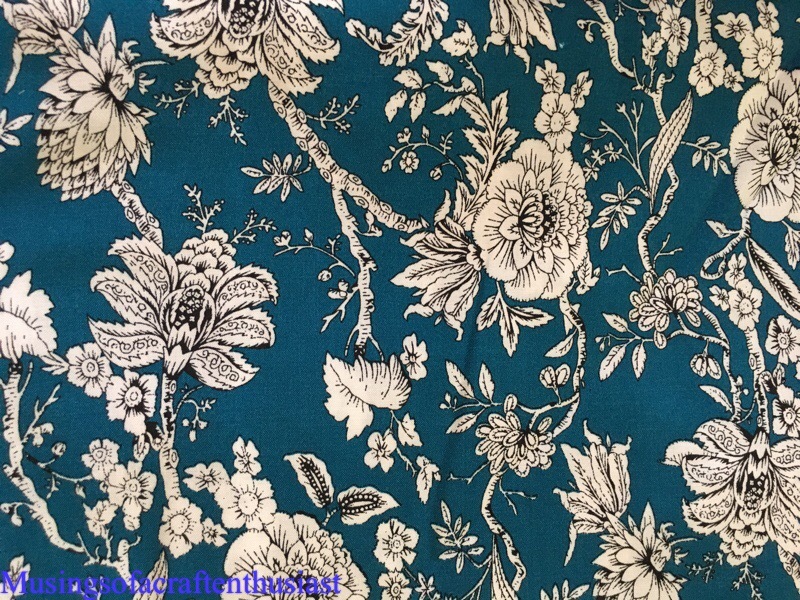 It might just be that the fabric is giving me a lot of problems and that once it is finished it will look lovely. 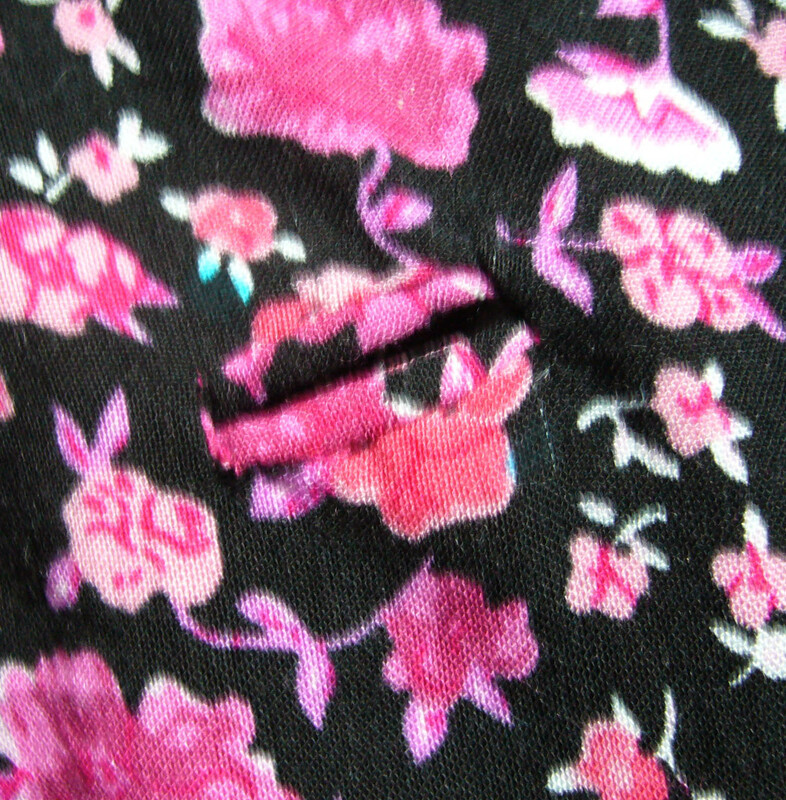 They aren’t as clean cut as the others that I have done and won’t lie flat I put two rows of stitching round them to help with the fraying problem I’m assuming that that didn’t help. 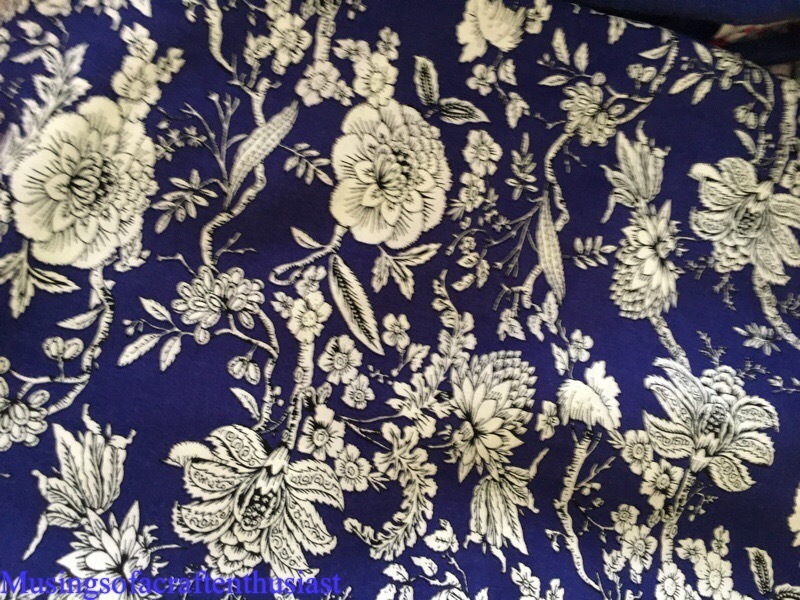 I have now got the whole dress together and the facing has been stitched on, the pockets look uneven but I have measured them and they are the same distance from the shoulder so apparently it is an optical illusion. 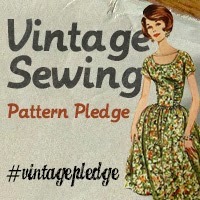 I’m hoping that after a good press and all the finishing touches have been put on it will look good and i’ll be able to wear it. 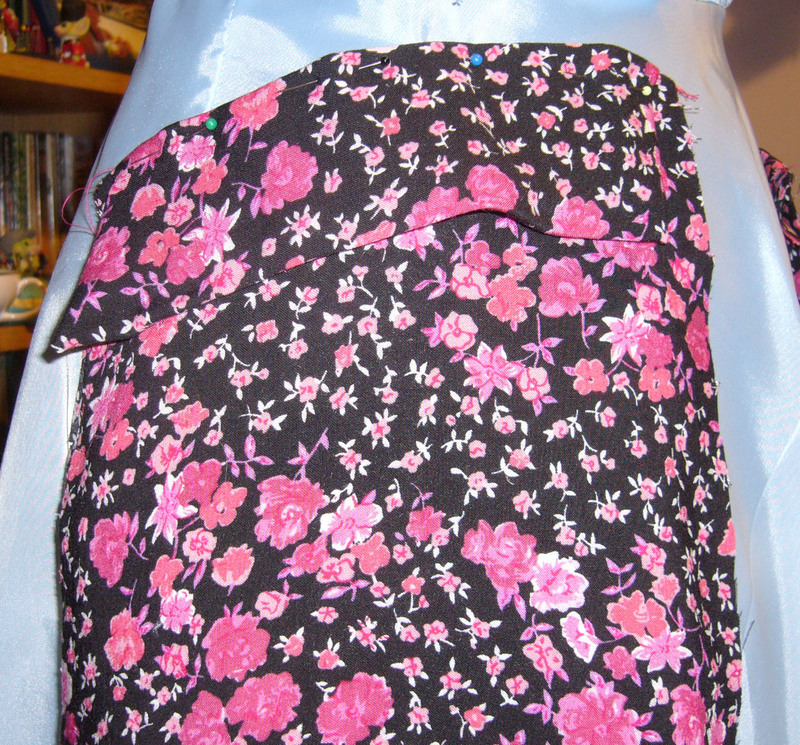 last night I finished the pockets. 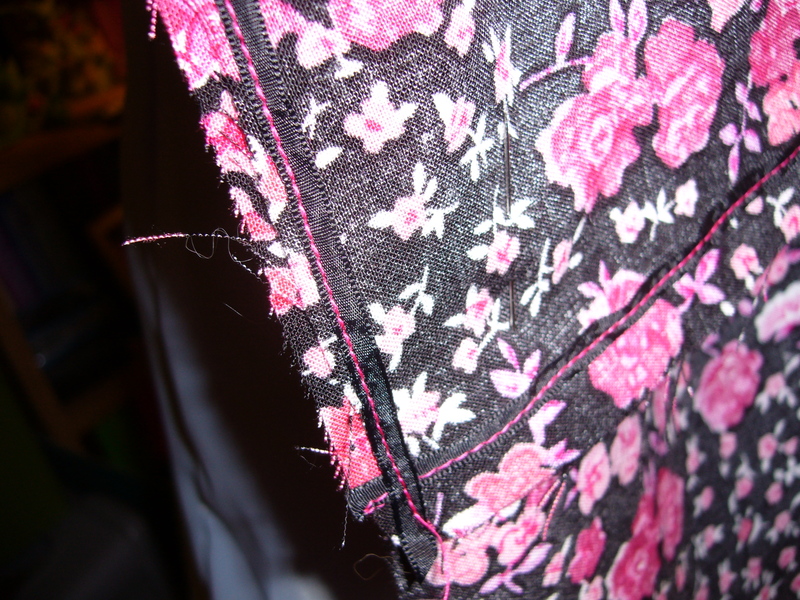 I decided to reinforce the pockets as I did not want them to stretch as you can see by the black ribbon I have carefully reinforced the seam with, the lower part of the top part of the dress forms the back of the pocket. 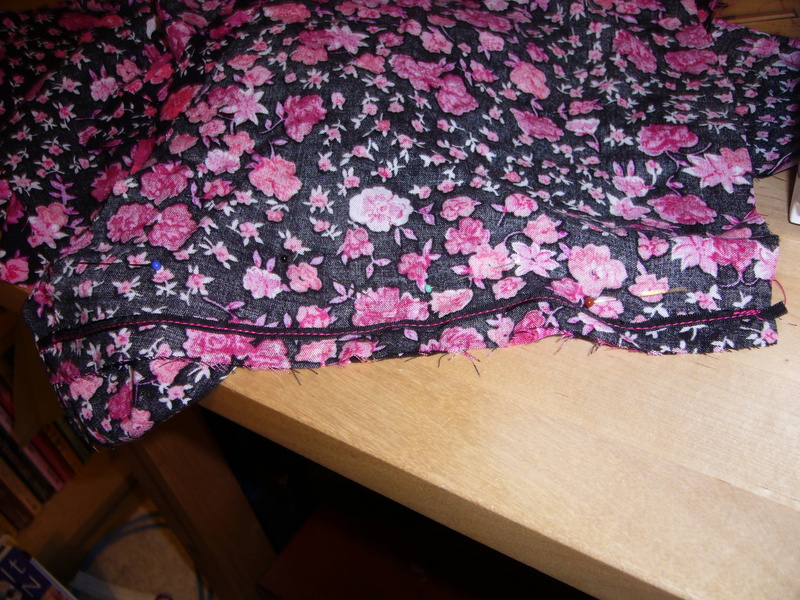 I then attached one side to the front, I decided against reinforcing this seam, I hope it was the right choice. 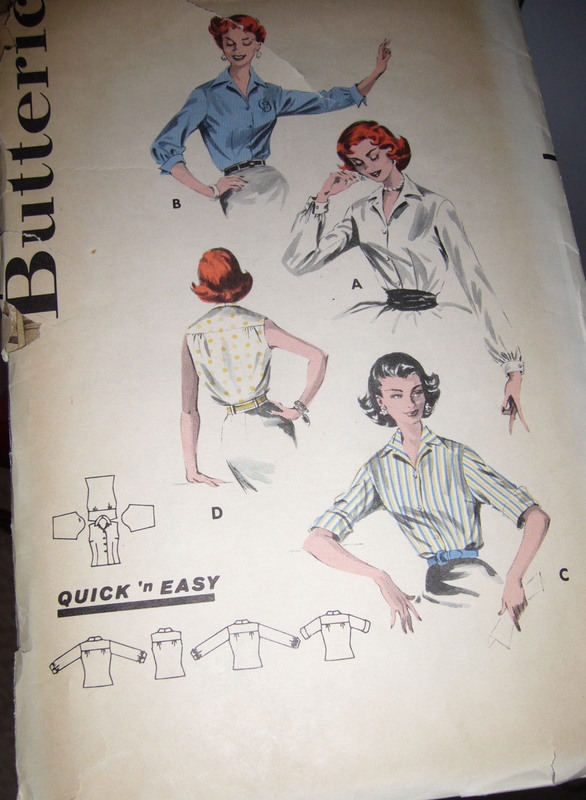 tomorrow I am going to attempt the bound button holes so wish me luck.